In a landmark event for the world of surfing, the Rip Curl Pro Bells Beach presented by FORD will welcome the world’s best surfers this April for its incredible 50-year anniversary. Bells Beach, which is the second stop on the 2011 ASP World Title season on April 19-30, will feature both the ASP Top 34 in the Rip Curl Pro Bells Beach presented by Ford Ranger as well as the ASP Top 17 in the Rip Curl Women’s Pro Bells Beach presented by Ford Fiesta. 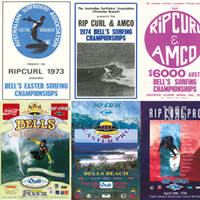 Brooke Farris, Rip Curl International Event Manager, summed it all up for us: “It’s going to be a very exciting Easter at Bells Beach this April, with some special events planned to celebrate the amazing half-century anniversary of the Rip Curl Pro and the Bells Beach Easter Rally. 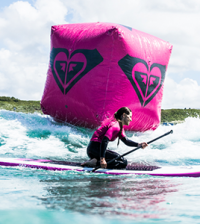 “This year’s event will really be a ‘gathering of the tribe’, with each of the world’s best ASP surfers keen to etch their name in the history books by winning the anniversary Bell and most of our former competitors and past champions in Torquay to re-live many of the amazing moments and stories they created over the past 50 years,” she added. In homage to the anniversary check out the posters below that have been dug out from the event’s archives. The golden anniversary event will be attended by not only the world’s best surfers but also by industry tycoons paying homage to such a monumental marking in history. 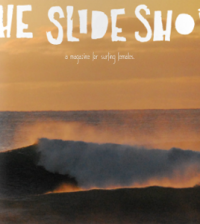 Watch this great video that sums up exactly what this event means to surfers across the world…. – Kelly Slater (USA), 39, reigning ten-time ASP World Champion, has claimed four prestigious Bells titles (’94, ’06, ’08, ’10) and with a win at the opening event of the season on the Gold Coast, will have his sights on defending his title at the Rip Curl Pro Bells Beach in 2011. – Stephanie Gilmore (AUS), 23, reigning four-time ASP Women’s World Champion who boasts an impressive three Bells titles to her name (’07, ’08, ’10). 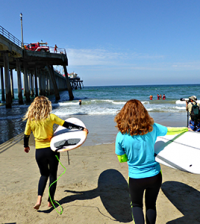 “To have an event there for 50 years is good for surfing and good for the younger generation to be able to go there and compete and be able to experience the aura that’s been there since the very beginning,” Gilmore said. The Rip Curl Pro Bells Beach presented by FORD will take place at Victoria’s pristine Bells Beach from April 19 – 30, 2011 and be webcast LIVE via www.live.ripcurl.com and broadcast live on Fuel TV in Australia and ESPN in Brazil.